Mathis Wackernagel, co-founder and President of Global Footprint Network, received the 2018 World Sustainability Award. The Award honors individual researchers or research teams who have made an outstanding academic or societal contribution to sustainability. 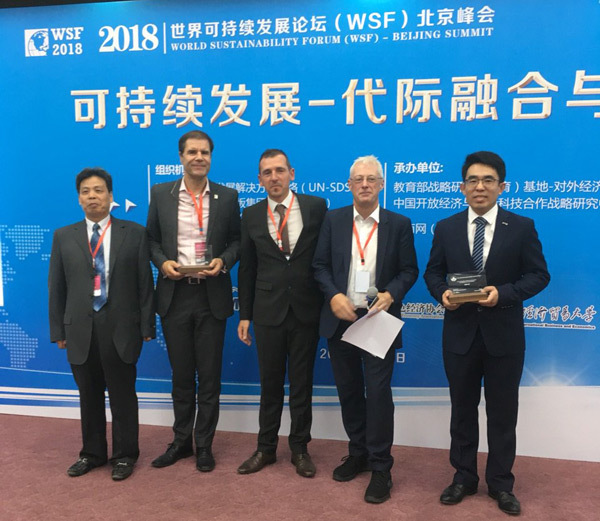 Mathis accepted the award at the 7th World Sustainability Forum in Beijing, China.